For around $50 or less a G-Shock is the toughest watch you can buy. Maybe you need an everyday “beater” watch that you can wear 24-hours and not worry about, or maybe you just need a part-time watch to work out or play in. If you’re not interested in spending hundreds of dollars on a watch, there is a cheap yet durable G-Shock that can fit your budget. There are many models with a list price of $99 but we will focus on those that are less and available well below their list prices, the absolute cheapest G-Shock watches available. You won’t get the latest advanced features, but you will get the most bang for your buck with G-Shock’s legendary build quality, shock resistance, 200-meter water resistance, and quartz accuracy. The following G-Shock watches all feature shock resistance, water resistance to 200 meters, backlight, alarm, stopwatch, countdown timer (except for the G100 analog-digital model), hourly time signal, auto calendar, and 12/24 hour time format. The DW9052 is one of the cheapest G-Shock watches and is consistently one of the best-selling G-Shocks, but cheap does not mean low quality when it comes to a G-Shock. The DW9052 is a popular military choice due to its low price and toughness and seems to have taken the place of the discontinued military favorite DW6600. 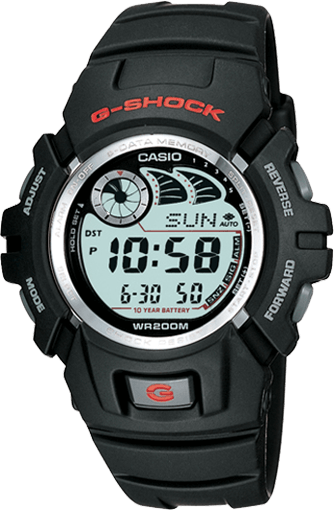 While it’s not an official military issue watch on the record, it’s been known to be distributed to soldiers worldwide and Casio acknowledges its military connections by calling it their “standard issue” G-Shock. Owners have a high regard for this watch and consider it a very rugged model with its protected button structure. This model is also available in several color accent options. The DW9052V-1 is a slightly more expensive version of the DW9052. It has more of a tactical style with a neutral color scheme and a nylon wrist band for improved fitting and comfort. This is a good option for those who prefer cloth bands or want a more subtle look. The G100-1BV is the right choice if you prefer an analog watch instead of a digital display. 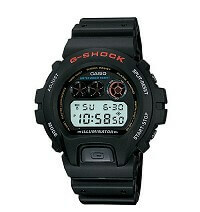 This is a simple-looking G-Shock watch and is a more standard size than the popular big case analog-digital watches. It has a small LCD display for the date and to access functions like dual time, 12 or 24 hour time format, stopwatch, and alarm. The watch’s analog structure is resistant to magnetic forces and the battery life is 3 years. The G100-1BV is one of the toughest analog style G-Shocks you can find for such a low price. 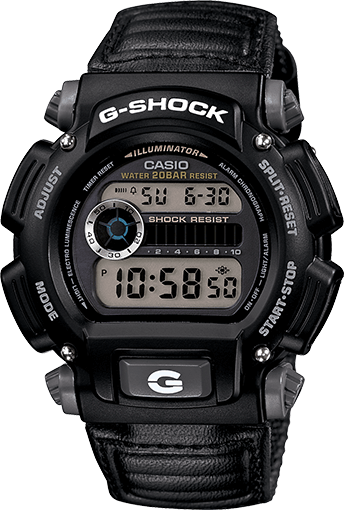 This simple G-Shock has an estimated 10-year battery life which is much longer than the usual 2 years. It is also one of the only G-Shock watches on this list with world time (29 time zones, 27 cities) and 4 daily alarms over the standard 1. It also has a password-protected “E-Data Memory” which means it can store 40 data sets (when sets are 7 characters each). Data sets can be more than 7 characters but will then reduce the total capacity. The extremely long battery life combined with more features than the average cheap G-Shock makes this one of the best bargains. 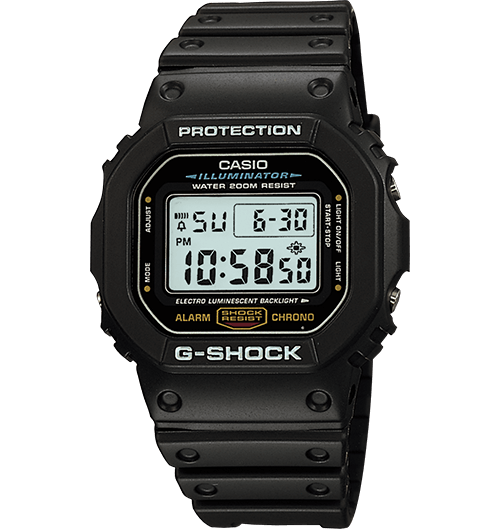 A truly classic G-Shock that has been around for decades, Casio once stated that the iconic DW6900 was their best-selling model. The DW6900 is simple yet stylish, unassuming yet confident. It’s easy to see why the 6900 case is so popular with both fans of simple, tough watches and those who want a good looking watch. Like the classic 5600 series case, the 6900 shape is still going strong with many different models and colors being released in its extra-large GDX6900 version. 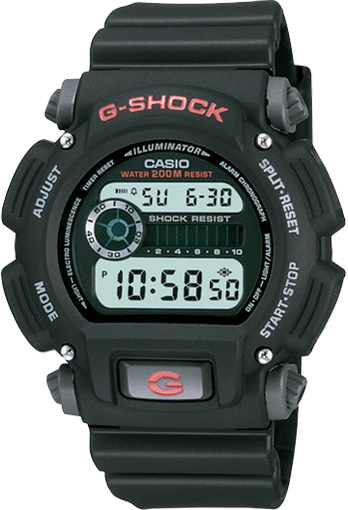 The DW6900 has the same exterior case and button structure as the discontinued G-Shock DW6600 formerly used by Navy SEALs, and it is a popular choice for military use. The front-facing backlight button makes it easy to operate with gloves on. 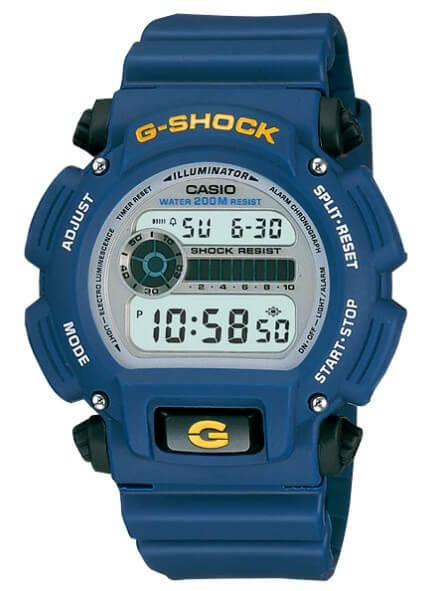 The DW9052-2 is the cheapest option for a fashionable colored G-Shock. This navy blue watch has yellow logos on the bezel and front light button. 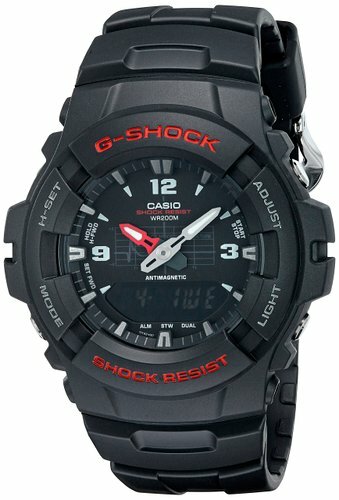 As a standard-size G-Shock like the other models on this list (i.e. not a large case model), it is also good choice for teens and older boys. 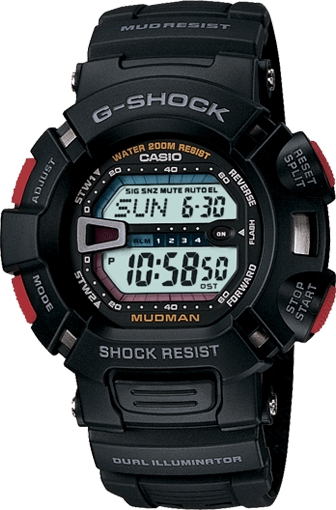 The G9000-1V Mudman is usually a little more expensive than the other models here but it is still in the affordable range and has advanced features like mud resistance, 48-city world time, 4 daily alarms with 1 snooze alarm, and an auto EL backlight with afterglow that activates with a turn of the wrist. Though more expensive models have taken the limelight recently, the G9000 Mudman was part of the Master of G line and is still one of our favorite G-Shocks. It’s a solid choice for military use or for anyone who needs an extremely rugged watch that will stand up to any environment. 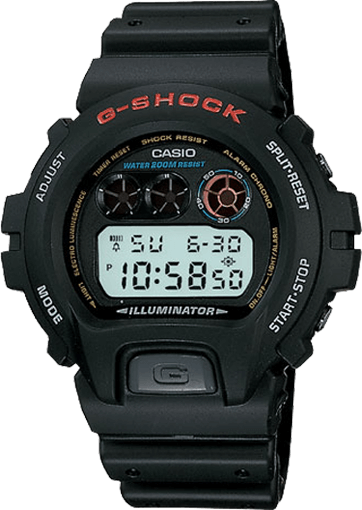 The DW5600 is a direct descendant of the DW5000 series, the original G-Shock that got the world’s attention in 1983. It still looks like a contemporary model 30 years later and is highly revered by G-Shock enthusiasts. The combination of function, durability, and style is what created a worldwide sensation and made the G-Shock brand what it is today. The DW5600 is the most retro of all G-Shock watches but also the most timeless, and it remains one of the best-selling models.